The process of buying your next vehicle can be strenuous, to say the least. Not many Americans can say that they enjoy or even have the time to spend long hours researching and going from dealer to dealer in order to find that perfect vehicle at the perfect value. Some just give up and buy without caution only to regret it soon afterward, while others end up driving a junker for years past its worth risking a sudden breakdown just so they can avoid going through the hassle. But, what if there was a place that could make buying better for everyone? At DePaula Mazda we believe our dealership is that very place. But, why buy from DePaula Mazda? 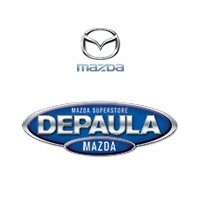 DePaula Mazda is a Mazda dealership in Albany, NY located near Colonie, Troy, and Rensselaer. We provide our automotive community with affordable vehicles that are both stylish and exciting to drive, as well as service that is friendly, competent, and comprehensive for all drivers. You may be questioning what makes DePaula Mazda different from any other dealership? Or why buy from DePaula Mazda over other local dealers? Well, the simple answer to this is that we care. We care about your automotive lifestyle, we care about your time and convenience, we care about your budget, but most of all we care about your satisfaction. Here are just a few reasons why you should buy from DePaula Mazda, and what we can offer you as loyal members of the DePaula Mazda community. All of our vehicles have their own appeal since we only offer the highest-quality vehicles from the highest-quality manufacturer and sellers. That being said there are a few noteworthy options that will truly grab your attention with their style and efficiency. The Mazda 3 is your classic, stylish compact car that is offered in either a sleek 4-door design or a resourceful 5-door design. Its suave appearance is one of the most appealing on the market on the market with eight exterior color options that each compliment it in their own way. The interior is just as stunning with every inch being detailed to perfection from the smooth instrument panel to the lavish seating. When it comes to power, the Mazda3 is clean and fuel efficient while still offering plenty of zoom. For the Mazda3 it is all about being smarter with their SKYACTIV TECHNOLOGY engineered smart engine, which pushes the limits of internal combustion and offers 37 mpg highway. Overall, nothing is simple about the Mazda3, other than how easy it is to drive. The Mazda6 is a midsize car that is as flashy on the outside as it is intelligent on the inside. The exterior appeal has no words other than strikingly beautiful, while the interior is designed stitch by stitch with the highest-grade of materials such as Nappa leather and Sen wood with the signature trim level. The connectivity and safety options are also as advanced as they come the Mazda Connect infotainment system and i-ACTIVSENSE see-all safety technology. Under the hood, the Mazda6 boasts a dynamic pressure turbocharged SKYACTIV-G 2.5T engine that delivers up to 250 HP13 and 310 lb-ft of torque with 35 mpg highway. This engine was engineered to be ultra-responsive at low RPM, which will elevate everything from your performance output to your heart rate. Overall, when it comes to the Mazda6, you will be getting style, speed, and smarts. 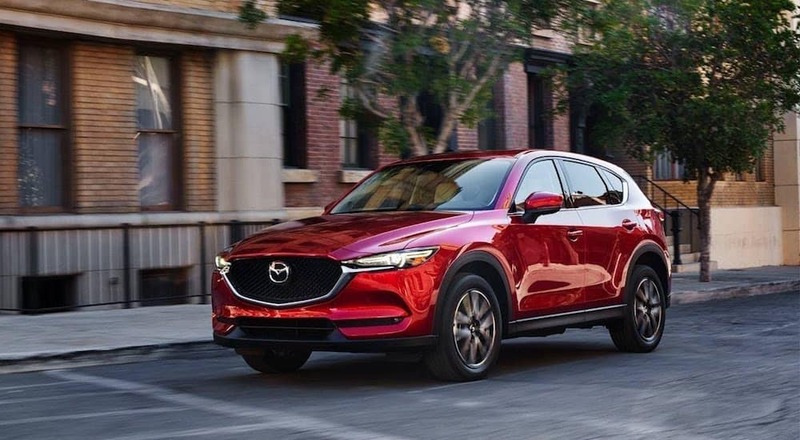 The Mazda CX-3 is a smaller SUV with a sophisticated design that appeals to those that love their vehicles sleek and shiny. The Mazda CX-5 is all about sophistication though harmony and simplicity. Inside and out, nothing about the Mazda CX-5 is too busy or too flat, it all just works together to create a pleasing atmosphere for all of your senses. Sight, sound, and touch have never been so perfectly in sync than in a Mazda CX-5. When you’re wondering “Why Buy from DePaula Mazda,” this SUV might be the answer. The Mazda CX-5 is a midsize SUV that is kind of like the older brother of the CX-3. It offers the same stunning styling and harmonic design with limitless tech options for your safety and comfort, but also gives drivers the extra space and power they desire. With 59.6 cubic feet of cargo space and a driver-centric interior, the Mazda CX-5 is all about your personal convenience. Under the hood, you will find SKYACTIV TECHNOLOGY at work with 187hp and 31 mpg of fuel efficiency on the highway. Even the frame of the CX-5 works with you to heighten the performance with lighter and stronger materials. Overall, the Mazda CX-5 is all about you and your needs as a driver. Cargo volume: 30.9 ft³, 59.6 ft³ with seat area<? Mazda vehicles have always had the ability to turn heads with their flair while continuously satisfying with their limit-pushing efficiency, and we at DePaula Mazda want to be sure we do the same. Our service is all about you and your needs. Buying a car is hard enough without having a reliable dealer, so at DePaula Mazda we strive to give you the best service possible with our four creeds of selling. At DePaula Mazda we believe in customer-centric service that is all about giving you what you need. We work hard to make things easy for you, always remain consistent in our service, respect your feedback, and reward your loyalty. Considering no two people in this world are exactly the same, no two services should be either. Whether you are shy, outgoing, focused, conflicted, knowledge, or inexperience, we will put in the effort to find the best way to serve you personally. Do you hate those annoying dealership games where they negotiation seems endless, and the information never seems to add up? So do we! That is why when you buy from DePaula Mazda we have a full transparency policy that ensures you that we will always be straightforward in our process. If you ask any of our loyal customers “Why buy from DePaula”? Our transparent pricing may be one of their first responses. No matter what questions you ask about our services and inventory, we will be sure to have a cohesive answer for you. Our staff is always trained to be well-informed and will be able to act as your personal resource guild of our dealership. So, Why Buy From DePaula Mazda? When it comes down to it, only you can decide what is best for you. We at DePaula Mazda are proud of the vehicles we sell and the way in which we sell them, and we hope that you can personally come and see that for yourself.